Commercial wall fish tanks have gained a lot of popularity recently. You can easily find them in corporate offices, stores, restaurants and even hospitals. Adding a fish tank to your commercial environment creates a soothing atmosphere, which improves workers’ productivity. There are thousands of fish species suitable for a wall fish tank. Each of these species has a distinct beauty, colour and shape. Keeping them in an office and other commercial environments enhance their style as well as brighten the space. Unlike other pets, fish are easy to rear as they require the least care. Keeping other pets like dogs in an office may not be the best choice since they will require you to clean up their messes. Instead, fishes do not need you to clean for them or take them out for a walk. They are an excellent choice for any commercial premises. Wall fish tanks are available in different types, but they all require little maintenance. While aquariums need a lot of care, fish tanks are simple and facilitate little cleaning. You will also enjoy a quiet and serene indoor working environment when you choose to keep fishes as they don’t make noise. The swaying of coral polyps and natural swimming motion made by the fish is relaxing. According to studies, individuals tend to get relaxed even by the presence of empty fish tanks in the room. It also reveals that their mood improves as soon as fish are added to the tanks. In the commercial environment, wall fish tanks will excite the clients as they wait to be served. Similarly, in a working environment, the aquariums improve the mood of the employees as well as the customers making it simple to turn them into buyers. A relaxed client is highly likely to work with you compared to an uneasy one. 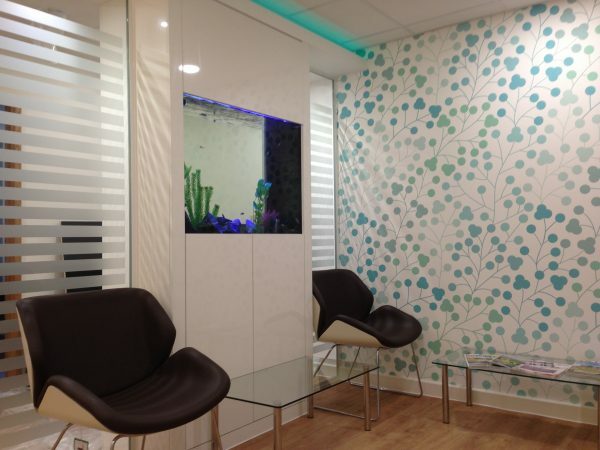 Research reveals that having a wall fish tank in an office reduces the occupants’ anxiety by approximately 12%. Reduced anxiety improves confidence and productivity. Furthermore, you reduce the risk of having high blood pressure when your workplace is relaxing. • Hospitals – This calms the patients as they wait for medical services. • Inside offices – Fish tanks are more soothing compared to photos and paintings thus will calm workers’ nerves and boost creativity. • Restaurants – An aquarium brings class and elegance to a hotel. • Bars – A stylish bar with a fish tank will entice more customers. • Receptions –A fish tank at the entrance of a building enhances the image of the place. • Spas – Keeping fish tanks in Spas areas boosts relaxation. You should not miss the benefits of having a fish tank in your commercial places. 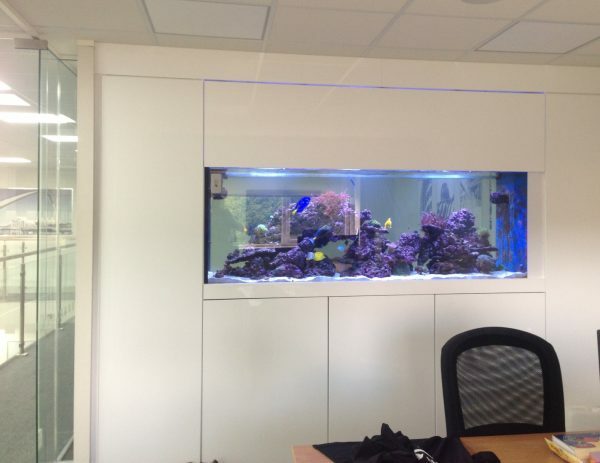 Improve the workers’ productivity and creativity by installing an aquarium in their offices. The tanks are available in many varieties and are also very affordable. We’re Hiring!! Aquarium Technician Required!